Deputy Ashanti Regional Minister, Elizabeth Agyemang has commended the T.I. Ahmadiyya Senior High School (SHS) for winning a debate contest recently held in Kumasi. She said the school has made the Ashanti Region proud, indicating that the trend shows schools within the region are doing well academically. She advised Ghanaian youth to take full advantage of Government’s flagship program, the Free Senior High School policy to contribute to the country’s economic future. She said education remains the priority of the Akufo-Addo-led administration and students must use the opportunity to push themselves higher on the academic ladder. The Deputy Minister said this when the management of the T.I. 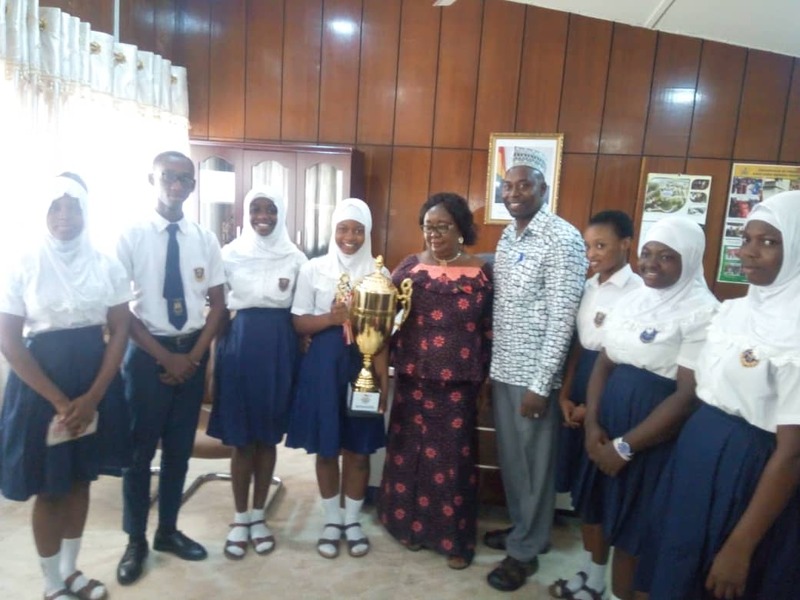 Ahmadiyya SHS and the Ashanti Regional Education Directorate presented the trophy they won at the recently held Luv FM High School Debate to the Ashanti Regional Coordinating Council. T.I. Ahmadiyya SHS defeated Opoku Ware School by 226 to 223 points. 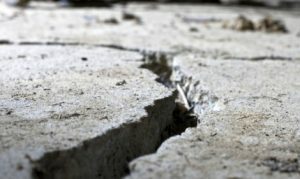 The motion was, ”Leadership is responsible for the slow pace of our national development”. Mrs. Agyemang congratulated the winning school and the participating schools who took part in the contest. She advised students to take their studies seriously and participate in such contests to enhance their knowledge. She has also promised to bear the cost of processing passports for the two female students and also celebrating them for winning the competition. “This is a very big thing you have brought to me, and in fact, we have to congratulate you on what you have done. God will bless you for bringing Ashanti’s name very high”, she added. Headmaster, Yakubu Abubakari said the school is improving in intellectual contests though it is known in the past for its athletic prowess. He said the T.I Ahmadiyya SHS had in the past contributed positively to raising the name of the Ashanti Region high not only in sports but also in academics. 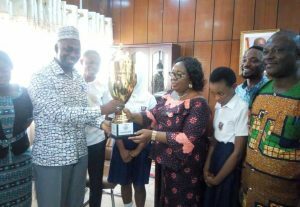 According to him, presenting the trophy to the Ashanti Regional Minister and his Deputy was to open doors to engage with political leaders who can help address challenges facing the school to improve teaching and learning. Ashanti Regional Public Relations Officer (PRO) for the Ghana Education Service (GES), Mark Ofori advised students to desist from engaging in social vices and concentrate on their books to make the region and the country proud. Principal Speaker for TI AMASS, Asakia Hawawu Hanan who emerged overall Best Debater believes hard work and prayer helped the school to win the contest. Armed Forces Senior High Technical School in Kumasi came third after they scored 216 points to force Tepa Senior High School into the fourth position. The post Deputy Minister commends T.I. 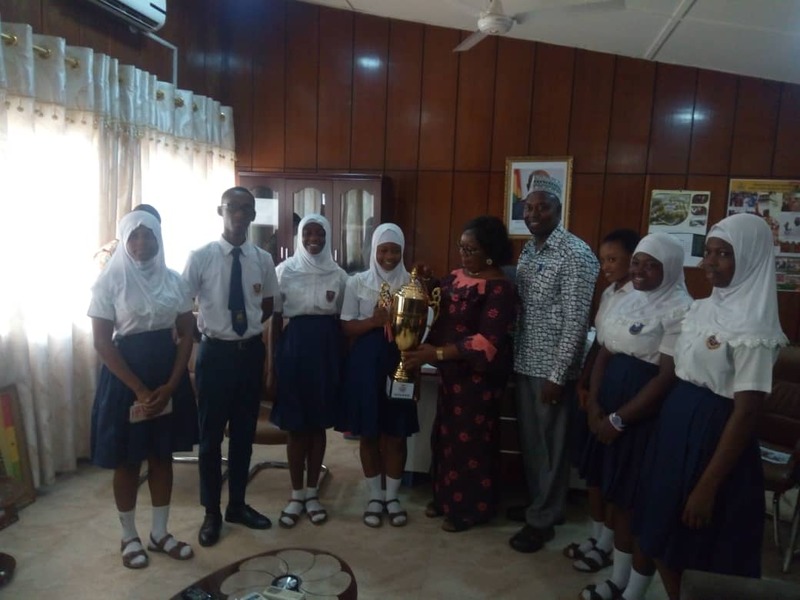 Ahmadiyya SHS for winning debate contest appeared first on Citi Newsroom.